The hand hammered copper adorning this magnificent, handcrafted, Western style headboard has a beautiful patina, and the patina will become more interesting with each passing year. 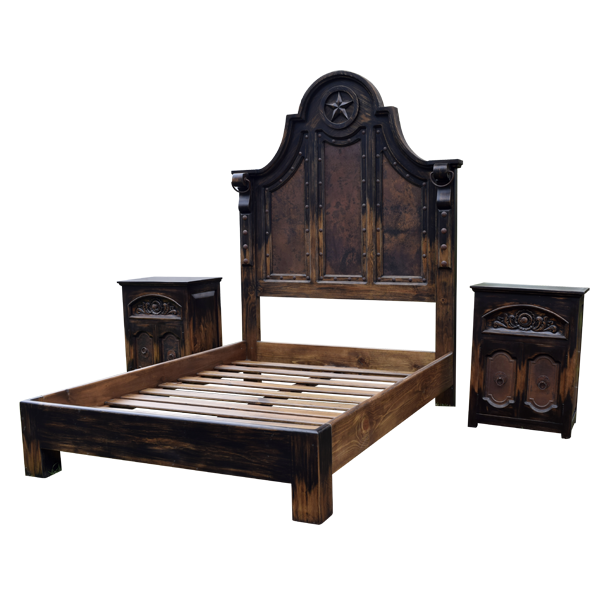 The curved headboard has a gorgeous, rounded crest, and the crest is adorned with a large, hand carved, Texas Lone Star. The front of the headboard is embellished with three panels, and each panel is covered with hand hammered copper. The copper panels are divided by two, solid wood uprights, and hand forged, iron conchos are intermittently hand tacked to each upright. 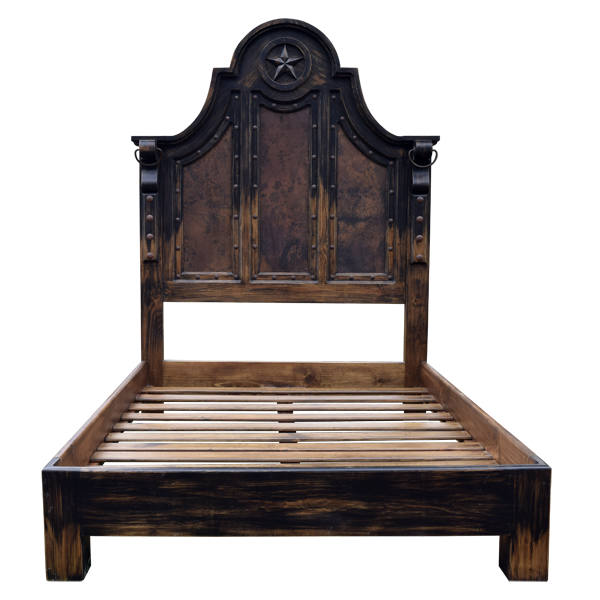 The headboard is framed on each side by scroll, solid wood uprights, and each upright is adorned with a hand forged, iron ring and with hand forged, iron conchos. 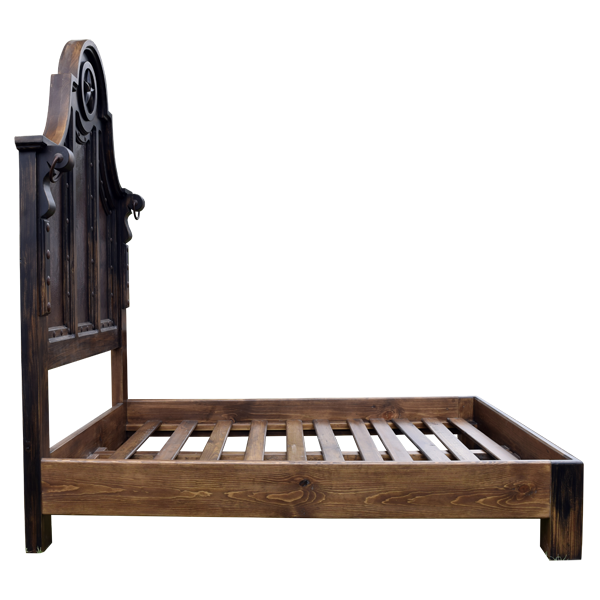 The bed has a solid wood, structural base, and the bed rest on sturdy, square cut legs. The headboard has an antique finish, and it is made with the best, sustainable, solid wood available. It is 100% customizable. This bed can be combined with our La Negra Antiqua armoire (Arm03) and with our La Negra Antiqua 3 end tables (ETBL06B).